Winthrop Engineering Ltd completed the Mechanical Specialist Installation Works for the New Build 3 Storey Stension to the existing facility at the South Infirmary University Hospital Campus in Cork. 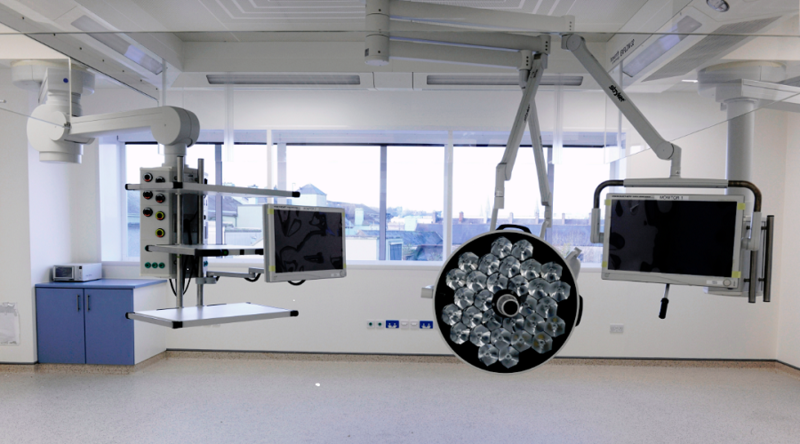 This new 2250 Sq Meter extension consists of 3 Operating Theatre Suites comprising of Operating Theatres, Anaesthetic Rooms, Preparation Rooms, Scrub Rooms, Utility Rooms and a 5 bed recover area. Further staff and patient rooms are also part of this development and include Waiting Rooms, Circulation Rooms, Rest Rooms, Changing Rooms etc. As the hospital remained a live environment throughout the project careful sequencing of scheduled works had to occur to ensure no disruption to hospital services occurred. Health and Safety was paramount to the success of the project and consideration had to be given not only to all involved in the project but also to hospital staff, patients and visitors.